i am trying to create a DocType to work as checkin/checkout for my support team. this Doc must include Current Location. I have tested the new doc with mobile but it cant fetch the current location? i belive that the app doesn’t have the permision to access the location services. also i want to be sure that the Doc field will only contain the current location and nobody can change it. so the team members cant play with the location. yes, it will open a great possibilities if it is applicable. Of course there will have to be some kind of logic to validate but it seems like a good place to start. it is not working from mobile app. Did you get it to work from the app? It seems the erpnext mobile doesn’t have geolocation permissions to get current location. Created an issue for the same. Issue: Geolocation permission: application does not have sufficient geolocation permissions. 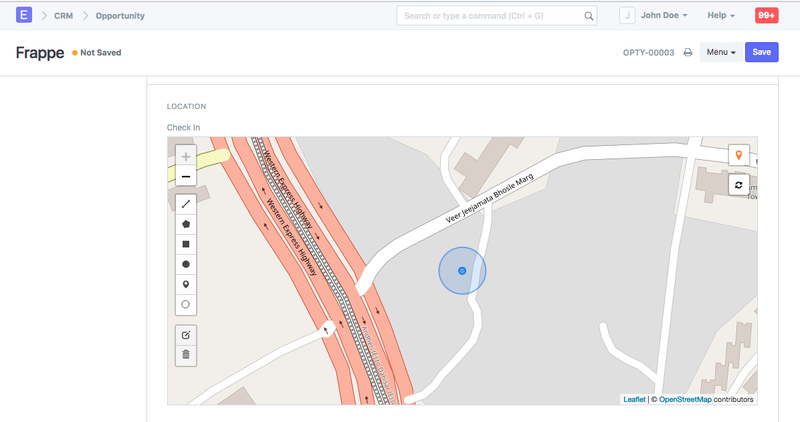 also geolocation not show in portal ! I plan to investigate and look for another service provider offering integration options with ERPNext. Any ideas ? Just bumping up this issue as its quite important!